Remember at the start of the summer when I rattled off ten or so things I wanted my son to learn during our summer vacation? 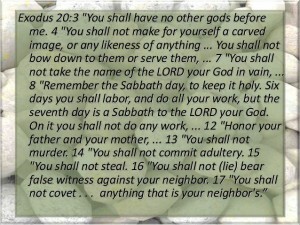 Well, school’s been back in session for a month and I am just now getting around to posting links to help us with the third item on that list (the Ten Commandments). Oh well – better late than never (in all seriousness, I’m not beating myself up too much since the 2nd item we studied over the summer was the Books of the Bible, and well…let’s be honest – it takes some time for a 7 year old to memorize those 66 books…some of them are not so easy to pronounce, much less memorize!) Happy to report little man did it (so proud of him) and woohoo – we are on to the Ten Commandments….3 months later. 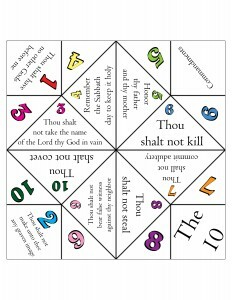 So, here’s five resources I’m compiled to help my little fella commit the Ten Commandments to memory. 2. 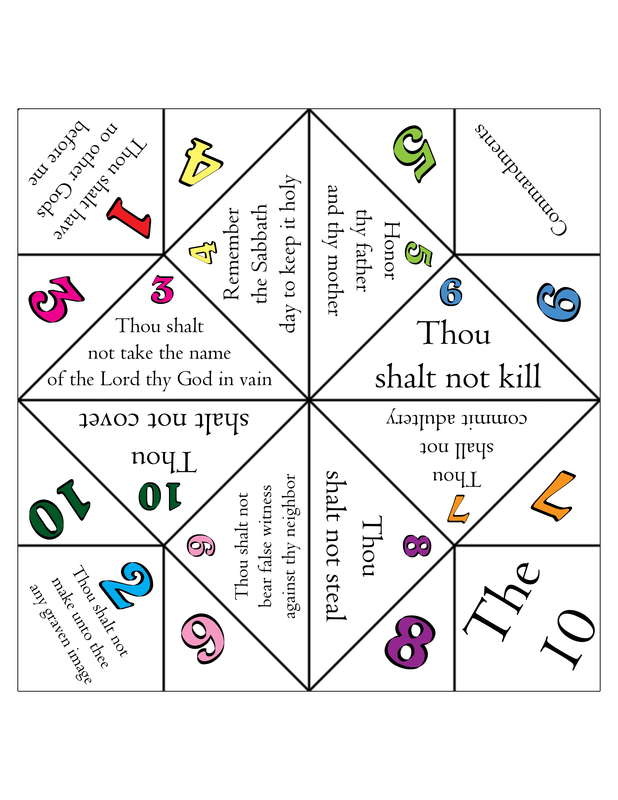 Ten Commandments Foldable Activity: This foldable activity from Rachel’s BookNook keeps children occupied creating origami and will leave them with a precious tool to aid them in memorizing God’s Top Ten. 4. 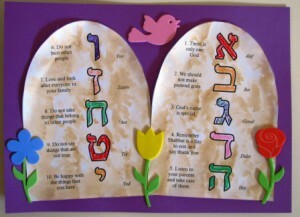 Ten Commandments Bookmark: This bookmark from Kids Corner is perfect to keep the 10 commandments handy and hopefully the more your child views the bookmark, the more quickly these commandments will be committed to memory. You can print off several and use them to keep your child’s place in your Bible/Bible stories, in daily homework reading, or even tape one to your child’s mirror to see as he or she is getting ready in the mornings. 5. 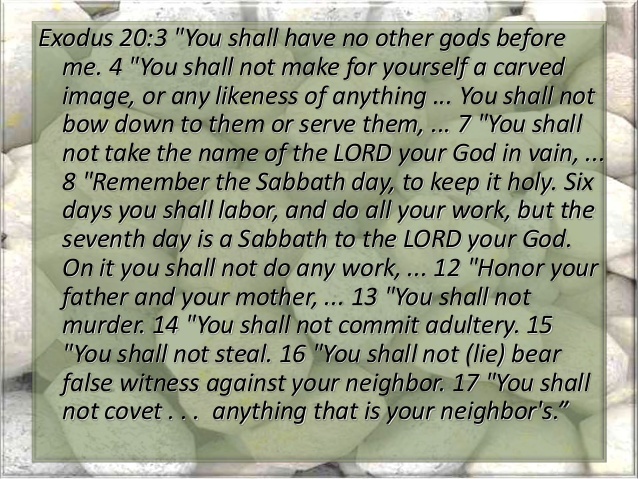 Ten Commandments from Exodus 20: I love this succinct slide on SlideShare that lists out the Ten Commandments from the Bible. It’s important for children to learn exactly where in the Bible the Ten Commandments can be found so they can begin to understand the adult version as laid out in God’s Word and move past the child’s version when age appropriate. That’s it for now, I hope these resources come in handy. We’re definitely going to put them to good use in our family as our boys begin memorizing the Ten Commandments. Thanks for following along!